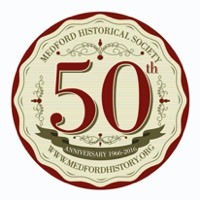 The Medford Historical Society is a non-profit organization that supports and promotes Medford's general history, now for over 60 years. Much of who we are and what we do is reflected and featured on this website so we invite you to take some time to look around, find out about our events and activities and consider joining us! 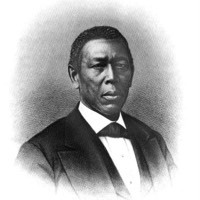 The mission of the Dr James Still Historic Site and Education Center is to preserve and interpret the legacy of Dr. James Still, known as the "Black Doctor of the Pines," and the town he called home. 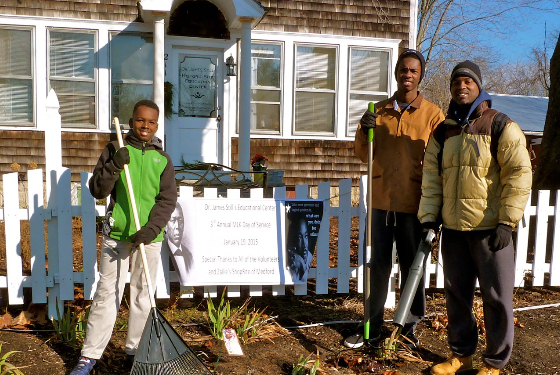 The site was the first African-American site purchased by the state for historic preservation and was leased to the Medford Historical Society in 2013. 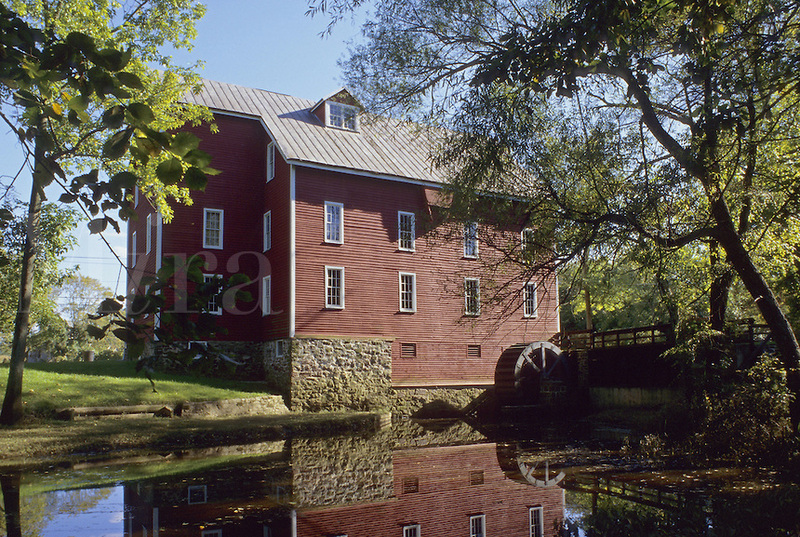 Kirby's Mill was declared a State Historical Site in July of 1971, and was placed on the National Register of Historic Sites in September of 1972. 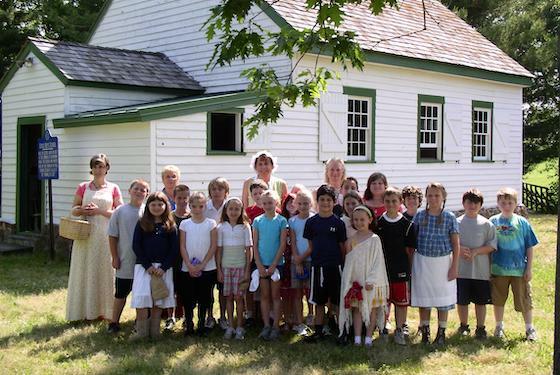 The Medford Historical Society continues to restore the complex to working order so that our generation and future generations can wander back into the past and see part of early Americana. The Mill complex also includes a storage barn, sawyer's house and a carriage barn. The Cross Keys School was built circa 1857. 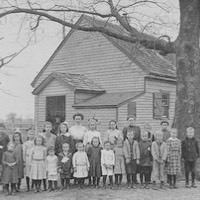 It was one of several one-room schoolhouses that provided early schooling for the children of Medford. The school stood near the intersection of Stokes Road and Dixontown Road where McDonald’s is currently situated. The building was moved to its current location on Mill Street in 1976. Medford Historical Images Now Online! Stop by and visit our new digital archive and browse the galleries. You too can help with the project - review the photos and their captions, click "Share" and send us any additional comments to info@medfordhistory.org. Click Here to download a PDF of the Medford 1900 Era Resident Quilt. 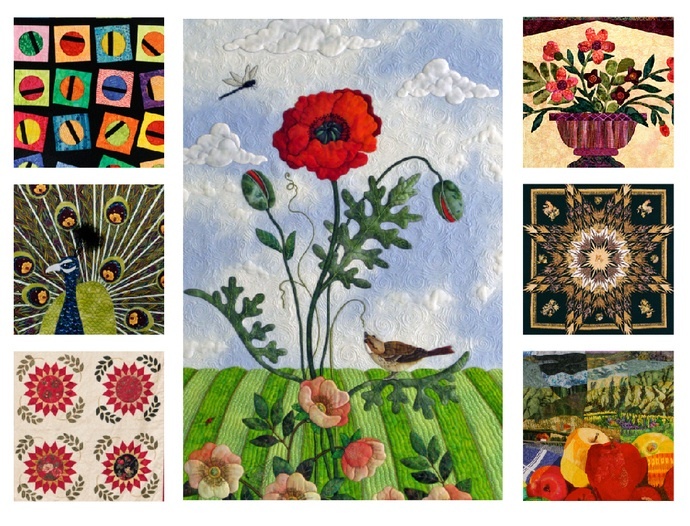 Quilt Show was a tremendous success. This past June 2nd and 3rd 2018, Kirby's Mill was host to our Annual Quilt Show that displayed over 75 quilts from all over the area. 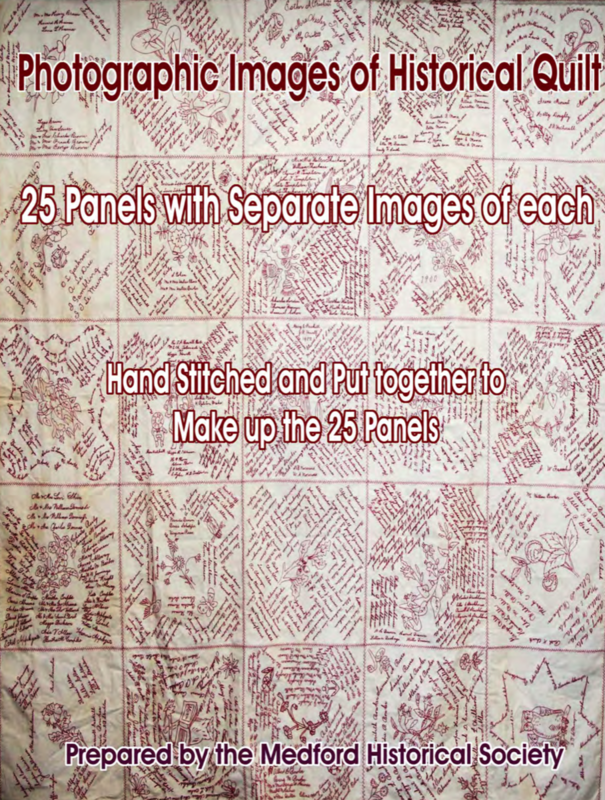 Quilts ranged in size from 1 square foot up to king size. There were some as old as 1900 and some finished just days before the show. We had Susan Painting demonstrating hand quilting and The Berry Baskets Quilters Guild had set up a beautiful little gift shop area. The show hosted hundreds of visitors throughout the two days. As with all of our events, this couldn’t have happened without the support of our dedicated volunteers, from the men and women who helped hang our quilts and poles on Thursday, to the volunteers who sat during the two day event and then with the volunteers that helped take down the quilts at the event’s end. A special thank you to all the visitors who opened their wallets and made generous contributions to the Historic Mill and The Medford Historical Society. Coles Roberts pictured receiving Achievement and Leadership Plaque from John Smith, Superintendent of Parks for Burlington County. 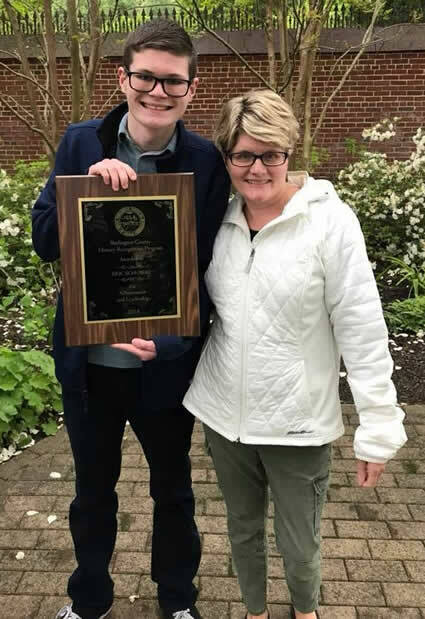 Eric Schubert with his mother, Lisa Schubert, pictured with Achievement and Leadership Plaque. 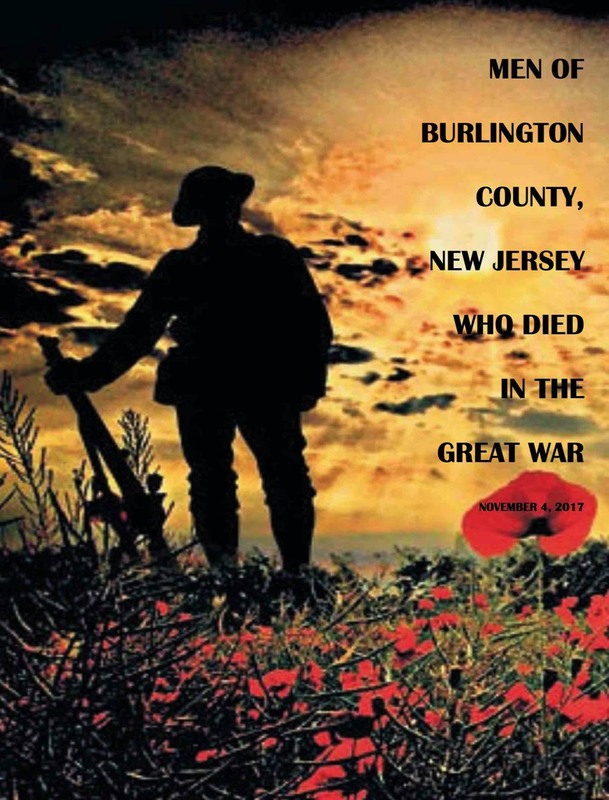 The Medford Historical Society is proud to announce that two of its members were recognized at The Burlington County History Recognition Program for 2018. Held in the gardens of the Smithville Mansion on Friday May 18th, recognition plaques for Achievement and Leadership were awarded to Coles Roberts and Eric Schubert. 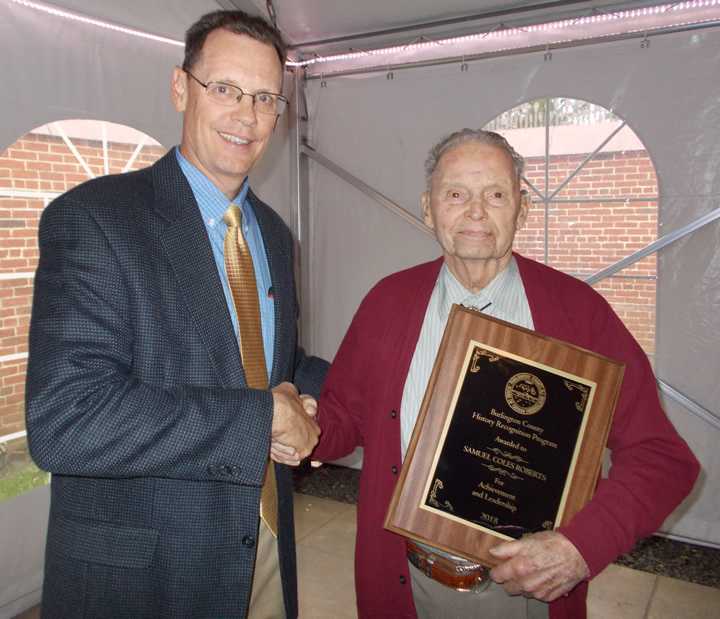 Coles Roberts operated the Jersey Jerry Apple Farm from1953-1998 and strove to educate others about agriculture. He is a collector of antique farm equipment and has served as curator and tour guide of the NJ Museum of Agriculture on the Cook Campus of Rutgers University. Serving on the Board of Directors of the Burlington County Farm Fair, Coles has presented topics ranging from Parker Shot Guns to demonstrating the use of apple parers. 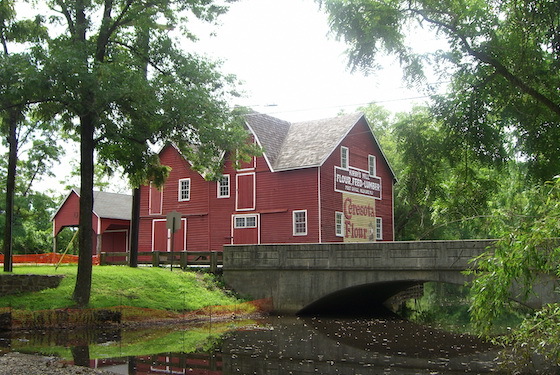 As an active member of the Medford Historical Society, Coles has aided in the restoration of Kirby’s Mill. His interest in history has also led him to do extensive genealogy of the Roberts Family. Eric Schubert is 17 and a junior at Shawnee H.S. here in Medford. He is the President of the Shawnee Photo Club, editor of the school newspaper “The Renegade Report”, and Communications Director for the local charity, Medford Cares. Eric’s interest in history, in particular family history, started when he was about 9 years old. As his interest and knowledge grew, he reached out to help others who also might want to know more about their family’s background by creating a service called ES Genealogy. In the last two years, Eric has helped upwards of 1000 people discover their heritage. 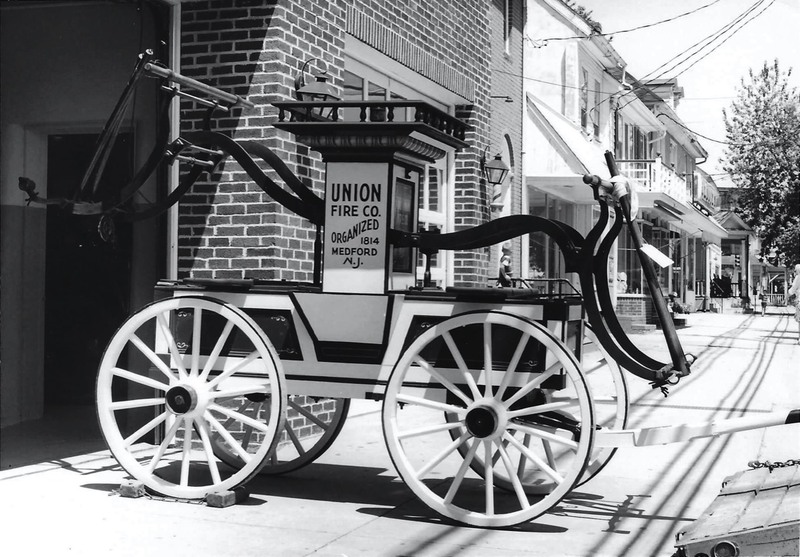 By reaching out to others, both Coles Roberts and Eric Schubert have made significant contributions to the stewardship and promotion of the history of Burlington County.